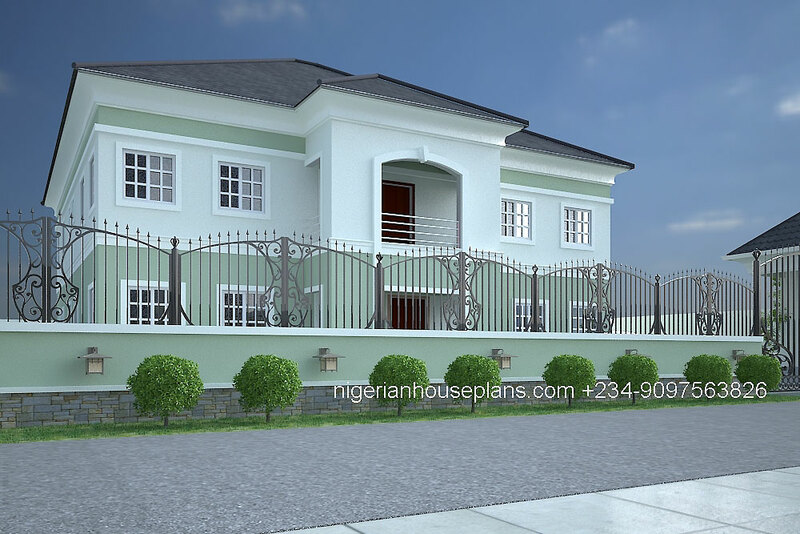 building, design, duplex, modern, nigerian house plans, photo, Residential. Bookmark. Yes Mr.Edwin, the plan will fit into 100×100 ft plot of land. Can you send me d design drawing. Dear Mr. Ifeanyi, Yes this can be sent to you. However, an order has to be placed before this is done. Kindly click on the buy plan button to place an order.An email has been sent to you in case you prefer other order methods. Thanks. I like you design. Could you provide an estimated consruction cost for it? What’s the minimum plot size area that must be used for this project? Do you provide a 3D plan in the package? Can you modify the plan to replace the roof with a flat roof or terrasse? The construction estimate will be sent to you.The plot area required is about 500sq.m…Yes the 3d plan can be provided.The roof can also be modified to suit your requirements. 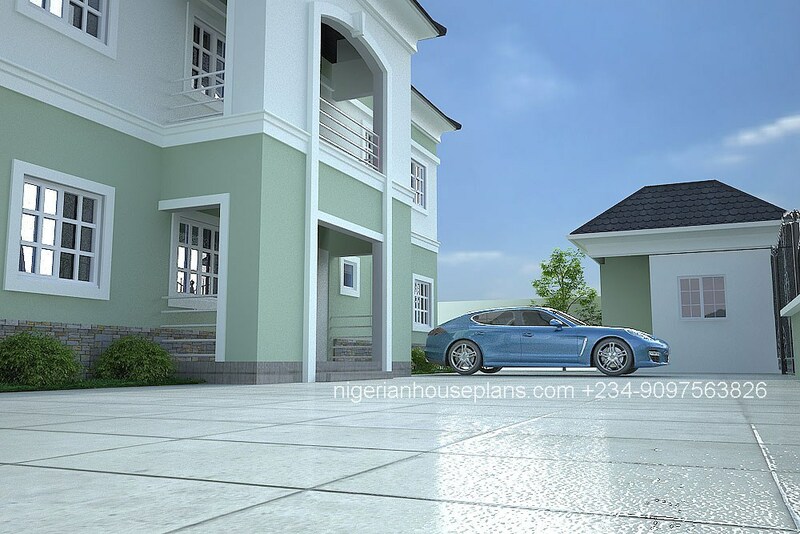 Yes this can be converted to 4 bedrooms.There is no significant difference between the four and five bedroom. Thanks. I am interested in this plan- 5025. 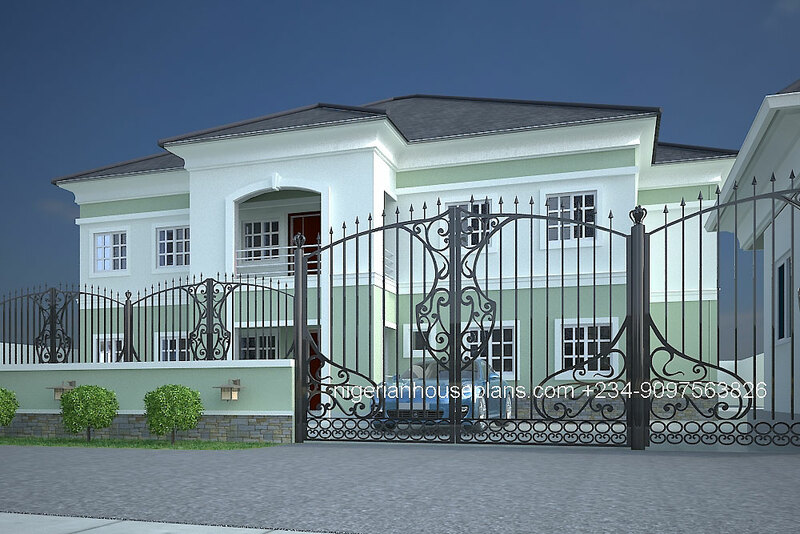 Pls email me with your details (estimated construction cost, plan layout etc). Dear Ego ventures, Estimated construction cost has been sent to you.Regards. An email was sent to you. Compliments! Dear Mr Stewart, Mail sent as requested. Regards.